NB In order to register, clients are required to have a bank account. 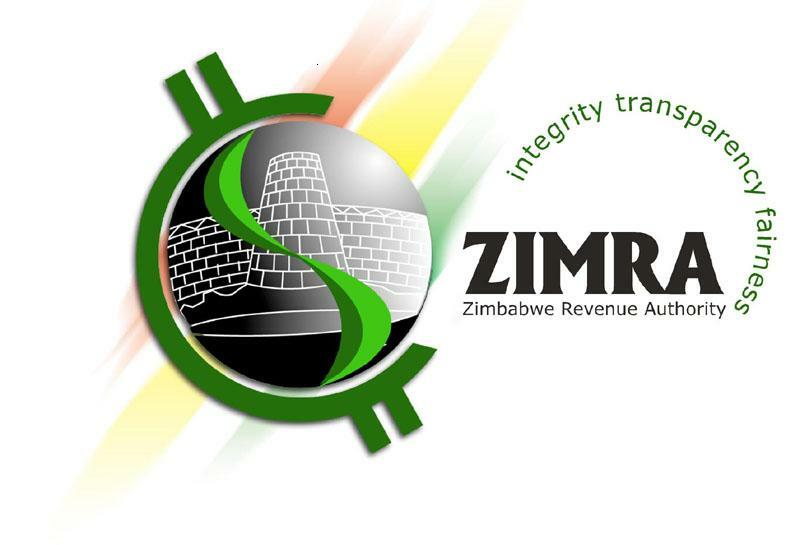 In instances where any person is not sure of whether to register or not, they should seek assistance from any persons of their choice but also remember ZIMRA is ready to support with advice around the clock. For any persons that have already failed to register they are encouraged to take advantage of the Voluntary Disclosure Program and be compliant. No penalties shall be charged for omitted income under the Voluntary Disclosure Program. 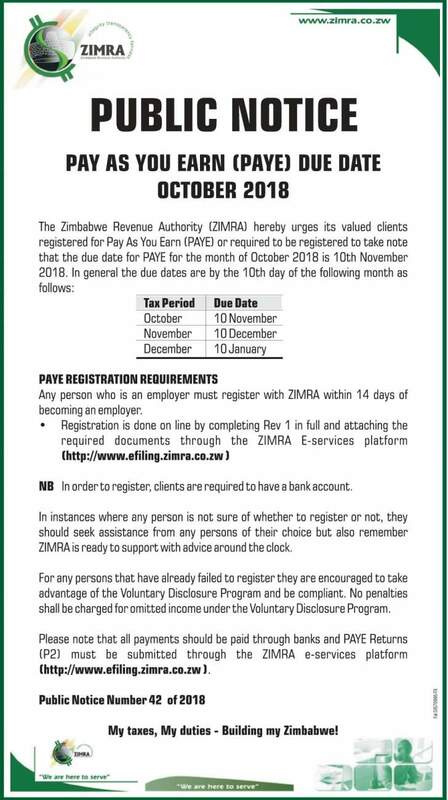 Please note that all payments should be paid through banks and PAYE Returns (P2) must be submitted through the ZIMRA e-services platform (http://www.efiling.zimra.co.zw ).